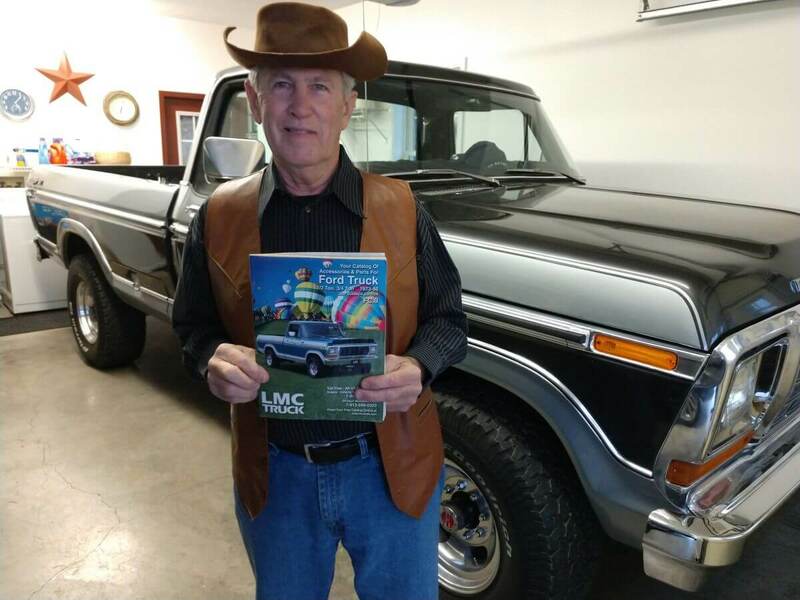 1979 Ford F250- Terry H.
My story is kind of a “Ranger XLT” story as well as a “LMC” truck story. 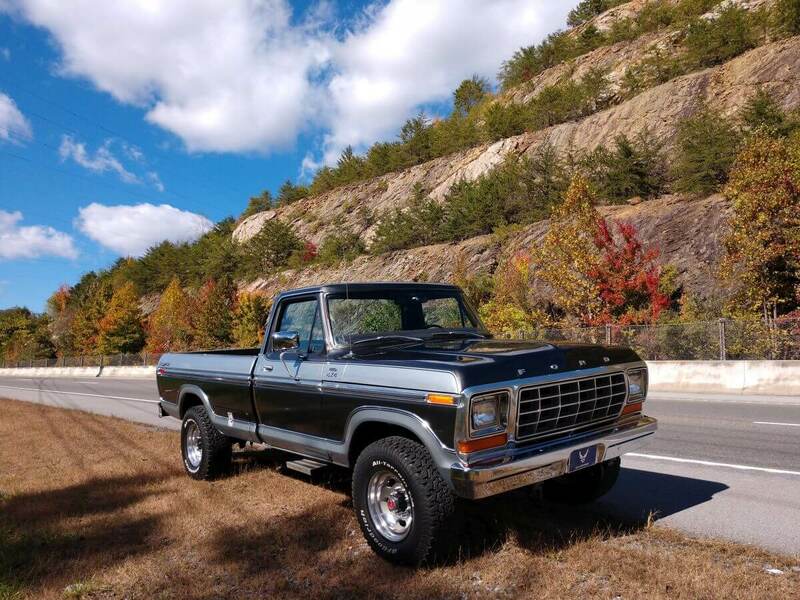 The year was 1972 when I was in the Air Force at Albuquerque, my good friend bought a new Black Ranger XLT and I thought that was the most beautiful truck. 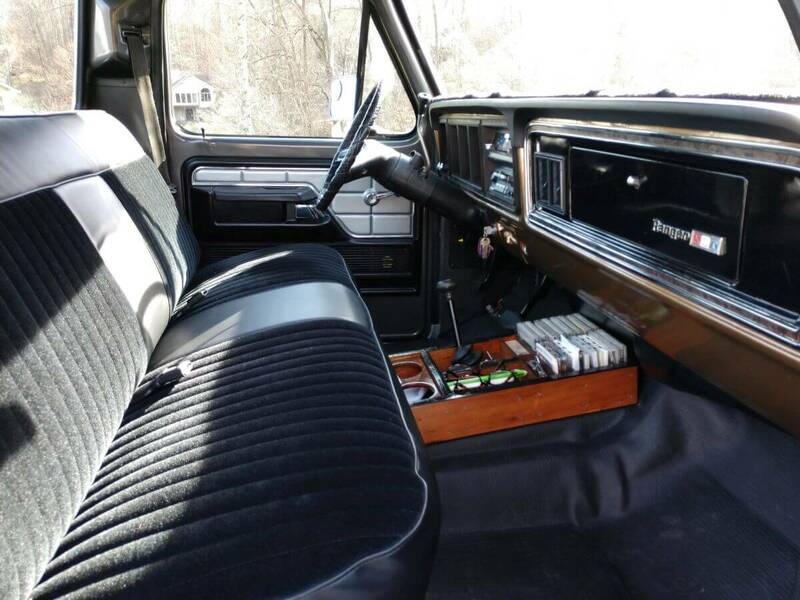 Of course I couldn’t afford one so I did buy a used 1968 Ford “Custom Cab” Truck. Later on I decided that if I couldn’t buy a Ranger XLT, I decided just to build one. I like to restore things so I began working. Over the next four years I slowly purchased all new chrome from Ford to make my custom cab a Ranger XLT. I put the new chrome on, front grill, door panels, wood grain dash and even found a working factory AC and installed it. Finally I finished the project with a beautiful black paint job. I kept that truck for several years. I wanted a 4WD real bad so a brother in our Church had a 1979 Custom that was gold and cream. He really didn’t need the 4×4 and I did. 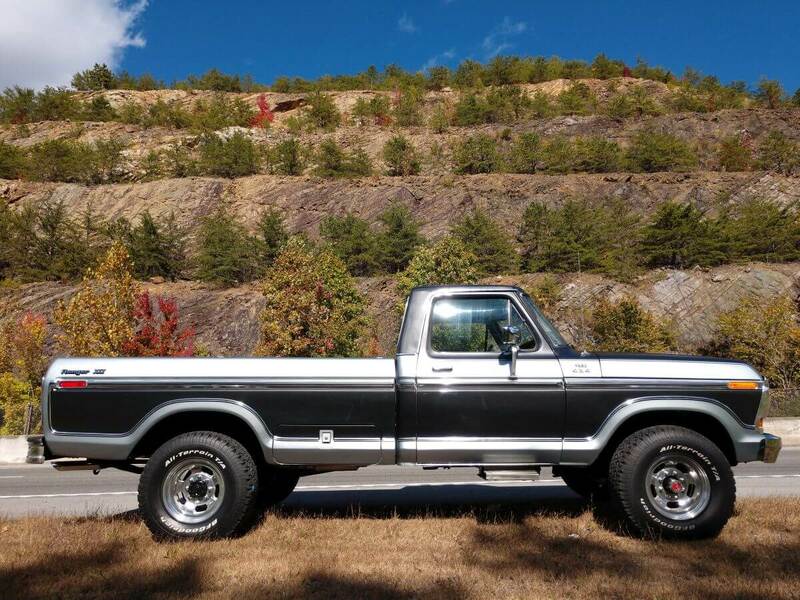 I traded him my black ’68 “Ranger XLT” for his ’79 Custom Plus 4000.00 in 1988. I still have the original factory invoice from my friend in which he paid $7825.00For the truck brand new. I have had this Truck now for about 30 years. Two years ago, I decided to restoreThis truck also and build me another Ranger XLT. This time I had a 4WD to work with. The restoration actually started with just fixing a few burnt out light bulbs in the dash. I took the dash out, replaced the bulbs and decided the paint the dash while the instrument panel was out. Prior to this, I started collecting chrome from old ’73 thru ’79 trucks. I actually found a wrecked 1976 Ranger XLT and scavenged many parts, lots of chrome and the emblems. Of course the prize emblems were the Ranger XLT and the glove box door with the red, white, and blue emblem. So I installed wood grain chrome in the dash, painted the dash and replaced the cracked upper vinyl with a like new one. Took the seats out and replaced the right floor panel which was rusted out with a new pre-bent paned from LMC truck which actually started the real restoration job. From that I fixed all the rust areas inside, replaced one door that was rusted on the bottom pretty bad, put a new speaker in the dash and added 6 more speakers, 1 in each door and 4 behind the seat in a wooden cabinet I built, vinyl head liner, painted the whole interior, added insulation in the doors and floor, purchased a beautiful new black seat cover from LMC Truck and finally installed new door seals and window seals….all from LMC truck. Actually the first truck parts I purchased from LMC truck was two chrome headlight bezels in March of 2000. The inside being finished, now the outside. Started fender by fender, took the fenders, hood, doors off to be sanded and primed. Removed the bed to the paint shop for minor body work and primer and restored all the rear frame issues like surface rust, gas lines, brake lines, fuel tank inop, and some wiring. Replaced the right cab mounts, installed the doors, fenders, hood and reinstalled the bed, all primed, now ready for the last thing…..paint. I saved all my LMC Truck magazines, but the most important one was Spring issue of 2001 in which the cover picture was a ’79 short bed painted two tone blue and silver. I saved that magazine for 17 years because when I finally did restore my ’79, that I would paint it the same color combination as on the magazine, except not blue and silver, but Charcoal and silver. I searched for about a year for a silver that would compliment the charcoal, and finally found a blue/silver instead of most of the white silvers available. Having collected enough chrome molding, emblems, etc. I put it all back together and made it another Ranger XLT. So with the help of LMC Truck, which I purchased many needed parts, I finally finished my second Ranger XLT…..Thank you LMC Truck.